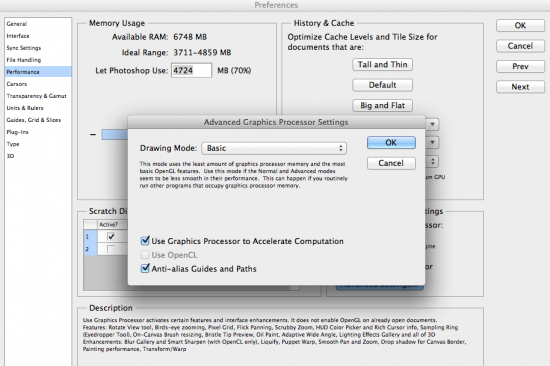 Turn off “Use Graphics Processor” and try for yourself. Great tip. Thanks so much. This does fix brush lag. 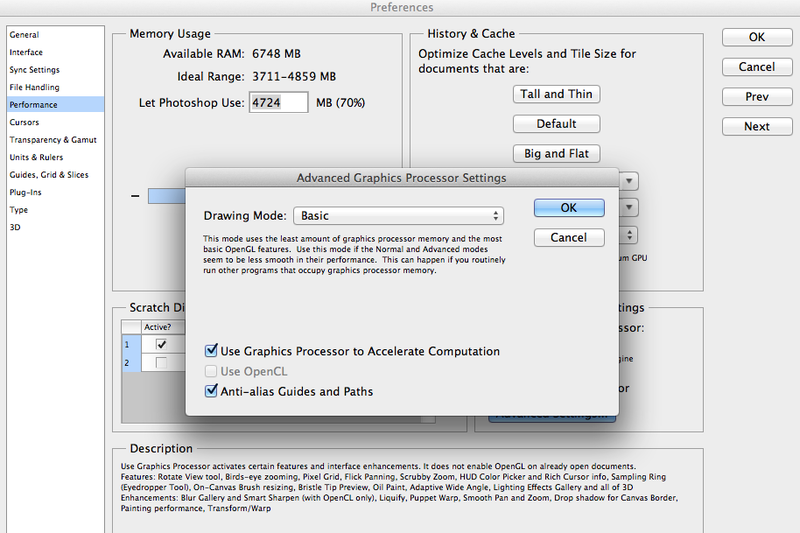 However unchecking [‘use graphics processor’] and turning off the graphics processor results in Open GL not working. 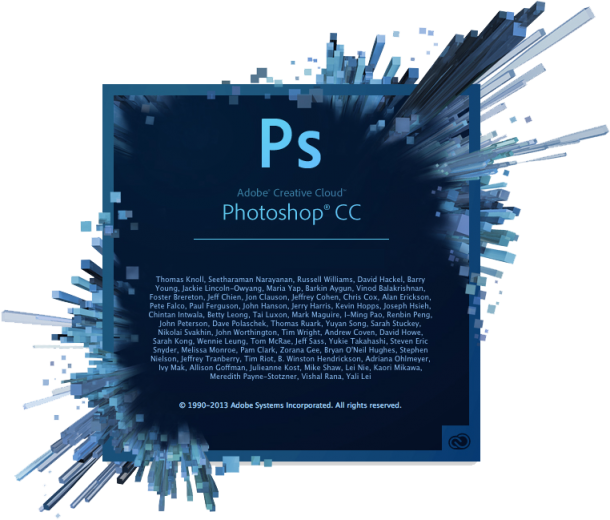 Thus the rotate function in Photoshop 6 / CC and some higher end effects like ‘Liquify’ as well as the Wacom Rotate button will not work. This happens in both 32 birt and 64 bit systems as i found out first hand. Goodness! This did the trick! Thank you! You sir are a genius. Worked for me too. Thank you. Now hot plugged back in my second display and problem fixed. awesome. Hurra! Great to hear it works for you, David!